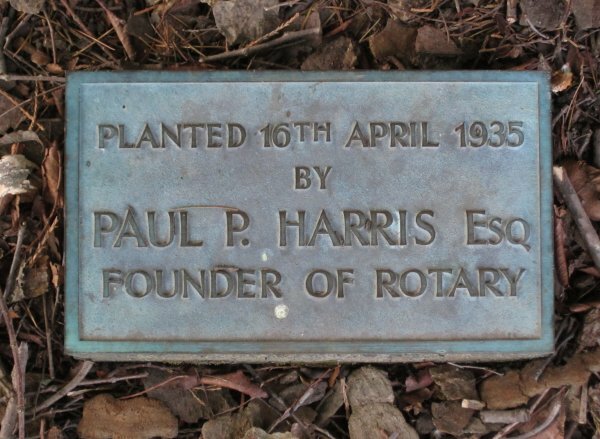 The plaque at the base of this fine specimen records that the tree was planted on the 16th April 1935 by Paul P. Harris, the founder of Rotary International (Cadwallader, B.G. 2013). 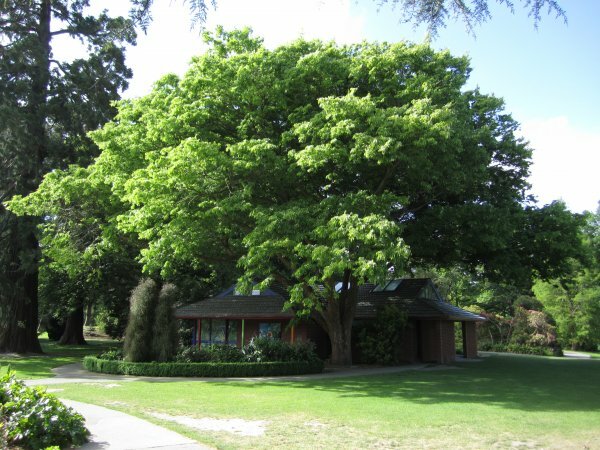 A low branching very wide spreading tree. 19 Mar 2013 Cadwallader, B.G. 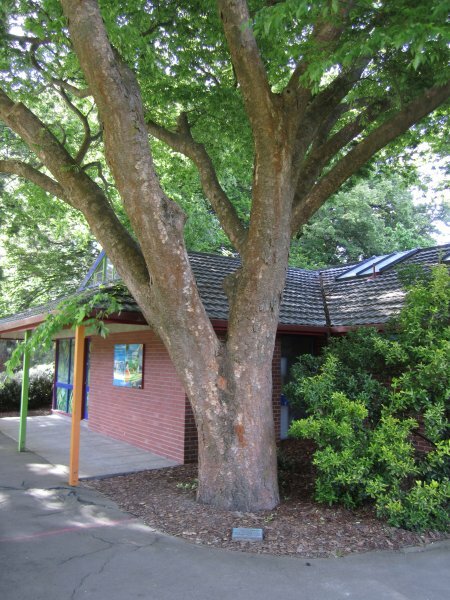 On the south eastern corner of the toilet block near the children's playground.